For Android Pebble users, Canvas for Pebble makes plenty of information available to your watchfaces. It’s hard to display much information on such a small screen and still look nice. 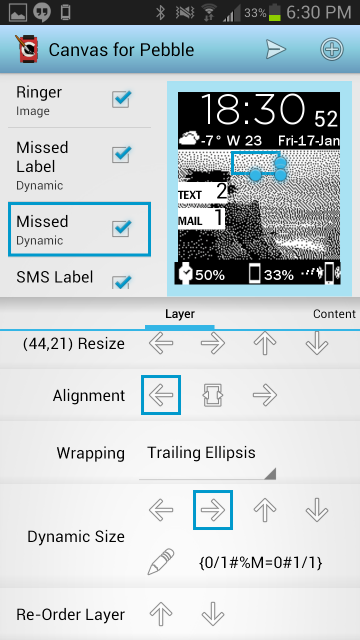 For Wallpaper Watchface, the time is still large and in charge, and the other two lines are stuffed with so much small text and icons that the screen takes about 20 seconds to load. Missed calls and unread messages make new notifications appear on top of the large wallpaper image. Replace that Pebble Beach wallpaper with any graphic you want from your phone. 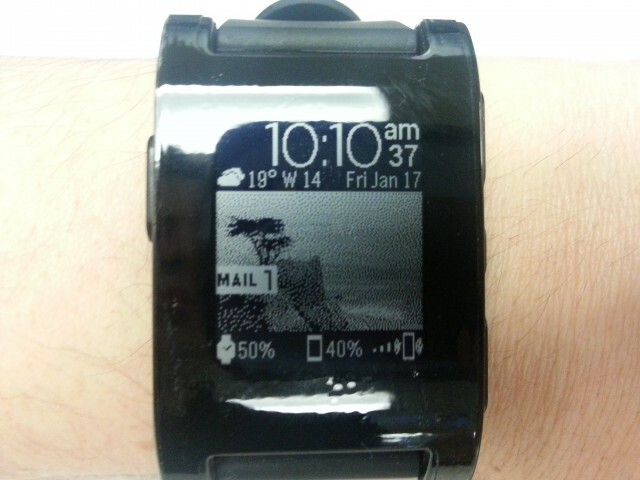 Wallpaper Watchface was built on Canvas for Pebble v2.0.6 beta which requires Pebble firmware 2.0 beta 5. If you have that stuff installed, click the links below on your phone to install the appropriate screen on your Pebble.